Polaroid blocks are my latest obsession. I love how you can use them to highlight the tiny details that might otherwise be overlooked in a busy print. Take this pirate fabric as a case in point. 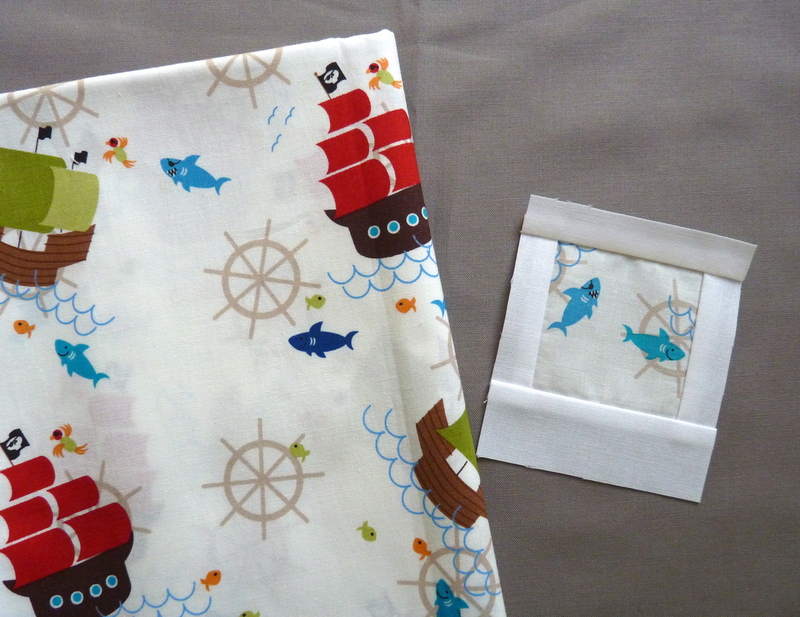 Did you notice the pirate shark, complete with eye patch and wicked teeth, in the main fabric? Polaroid blocks were all the rage a few years back and I think it is time they made a comeback. 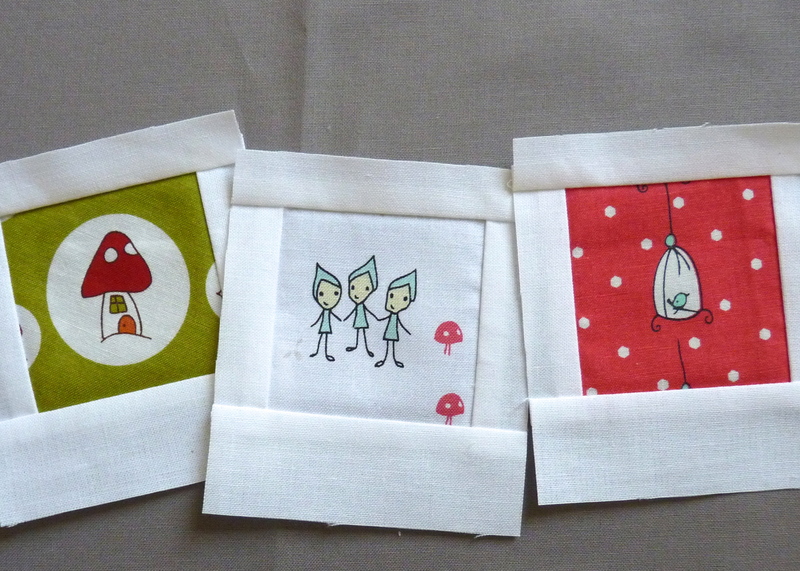 I know that all the fussy cutting makes them greedy of fabric but I don’t care. 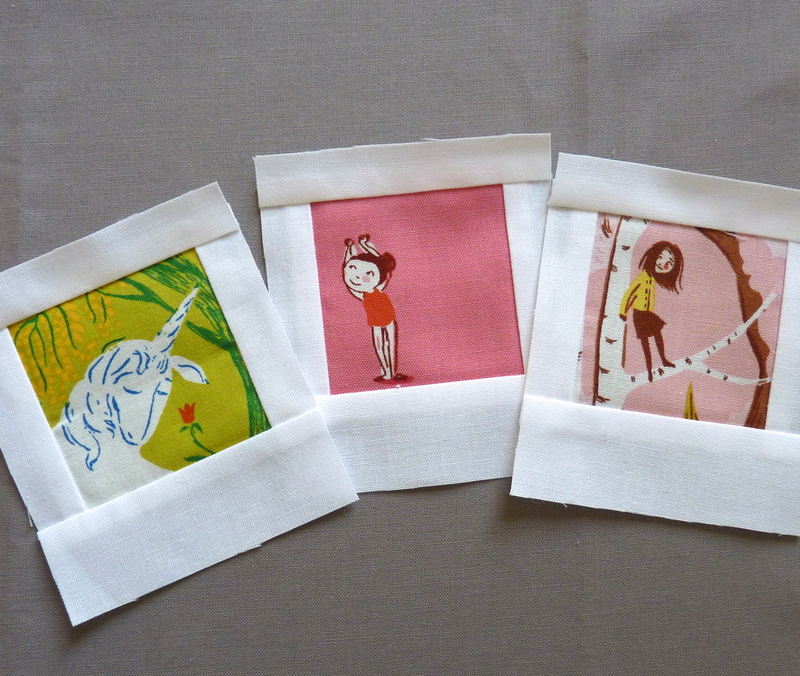 There are just so many adorable fabric designs that are crying out to be made as Polaroids. 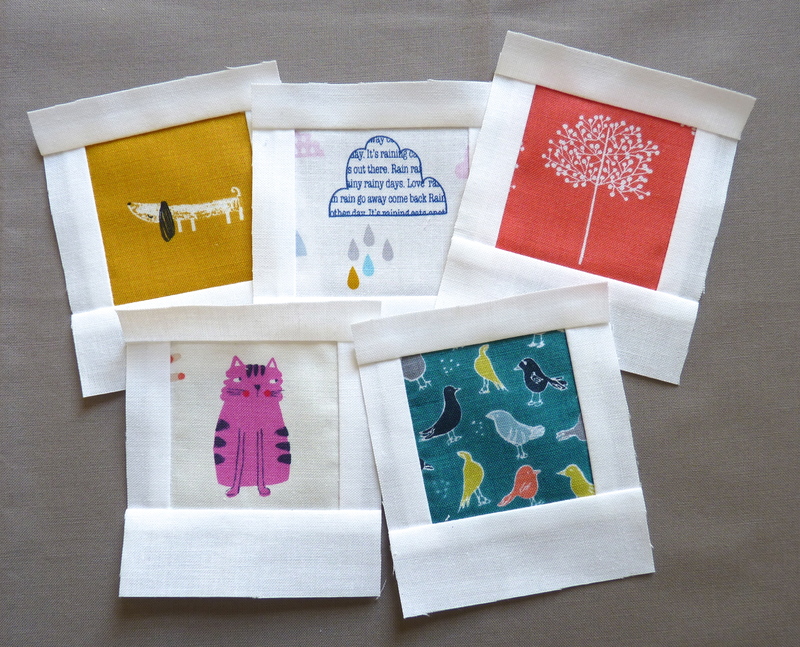 Who could resist the cute little images from these Dashwood Studio prints? (Oops! Error alert – the pigeon fabric is part of the VeloCity collection from P&B Textiles. This is what happens when you chop off selvages). And I adore these quirky illustrations from favourites by Heather Ross. Aneela Hoey is another great designer whose images are perfect for Polaroid blocks. Then there are these fab ones by new(er) kids on the block, Cotton and Steel. 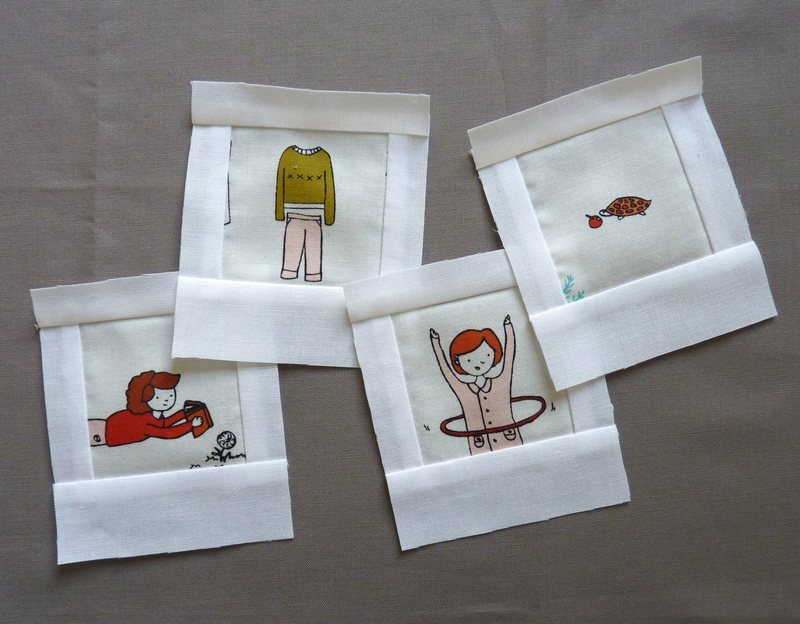 And if you really want to overdose on cuteness, you”ll love these sweet little images by Australian designer Natalie Lymer. I love all these blocks however my absolute favourite from my latest batch of Polaroids is this little one. 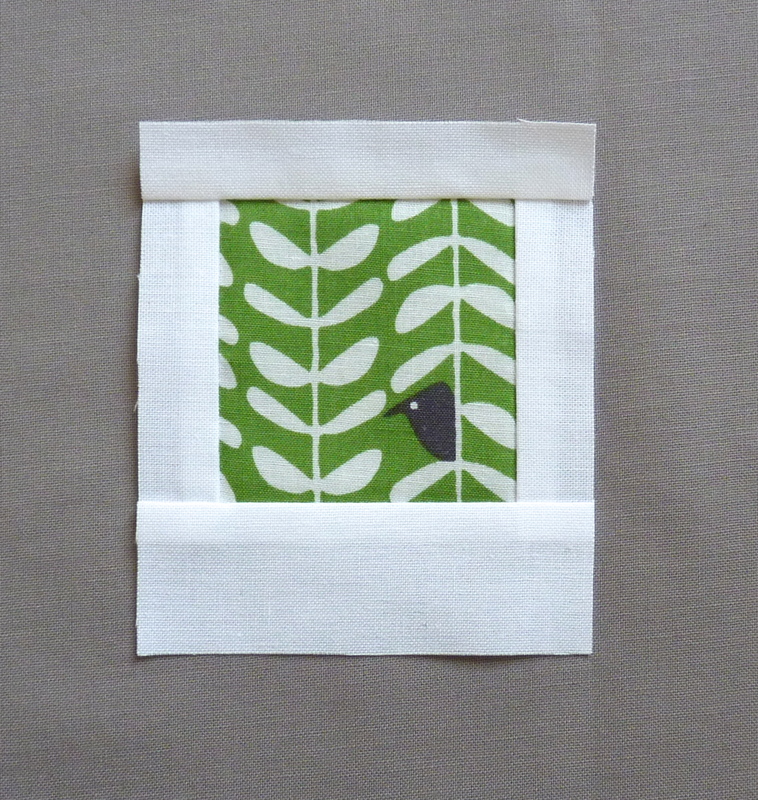 A crow peeking in the branches from the Yoyogi Park collection by Heather Moore. Ok, I think that’s enough cuteness for one day. I’m back to the cutting board as I have another 80 blocks to trim up. 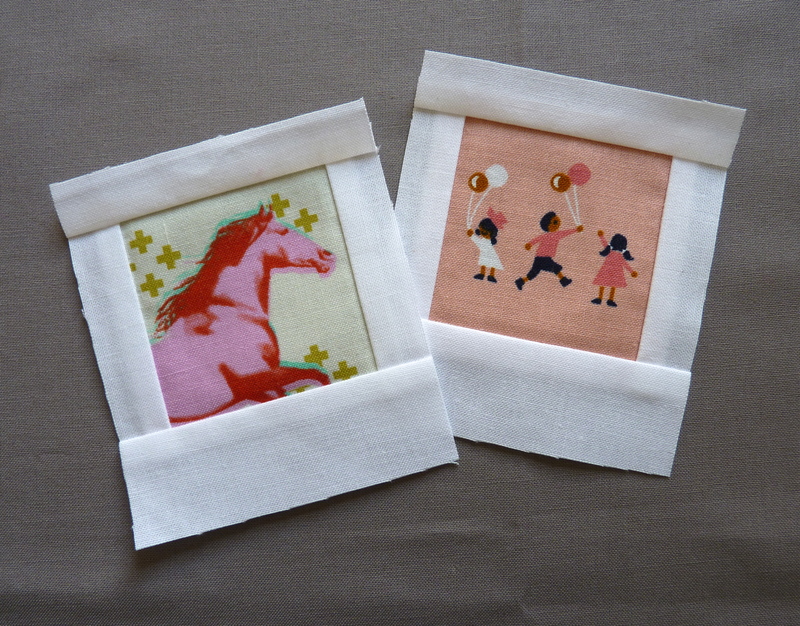 If you’re inspired to make your own Polaroid blocks, then this tutorial by Capitola Quilter is a great one to use to get you started. These are so cute! I was very tempted by your Polaroid block class, but sadly I had to go to work instead. Thanks, Sam. Sorry you couldn’t make the class. I hope to run another one later in the year, perhaps closer to Christmas, so people can use them in smaller projects such as gift bags or cushions.